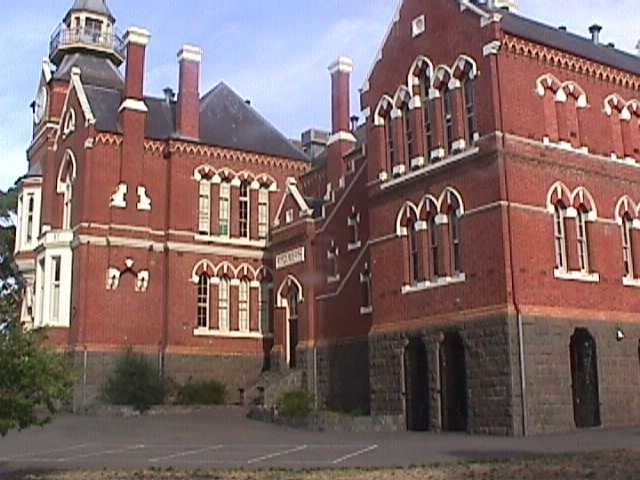 The Camp Hill Central School was built in 1877 on the Police Camp site in Bendigo. Sixty six acres were set aside for police purposes here in 1852, providing the base for military and police presence during the 1850s, when an enormous number of people were attracted to the goldfield. The Gold Commissioner's Headquarters were also located on this site and the government viewed it as a suitable site for a much needed central school. 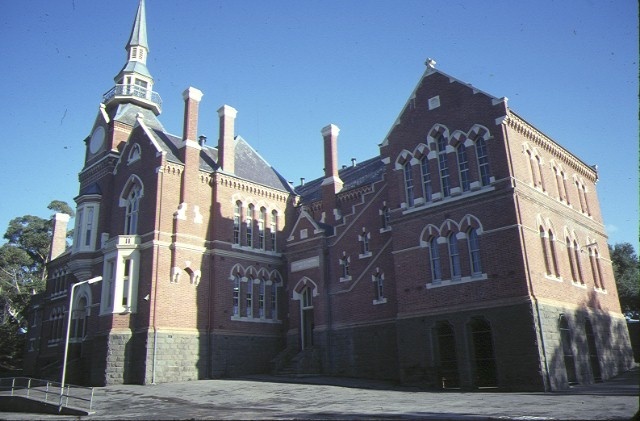 The school, which opened in 1878 with an enrolment of 1290 students, was designed by Henry Bastow of the Education Department and built by contractor, Thomas Corley. Located on a steeply sloping site, it is an imposing two storey, red brick building with slate roof and substantial bluestone base, designed in the Early English Gothic style. The principal south facade is highly asymmetrical with a dominant central entrance bay which incorporates a tower and two bay windows, including one which corbels out above the entrance. These bays reflect the importance of the rooms internally; those of the Principal and the Board of Advice. Classroom wings, which flank this central section, are dominated by rows of lancet windows. Particularly distinctive features include the expression of the internal staircase externally in a series of windows and stringcourses, the Romanesque corbel table under the eaves, highlighted in contrasting brickwork, and the tower with crowning fleche. The latter was constructed as a fire tower, and incorporated a fire bell and elevated balcony with glass protected observation room. 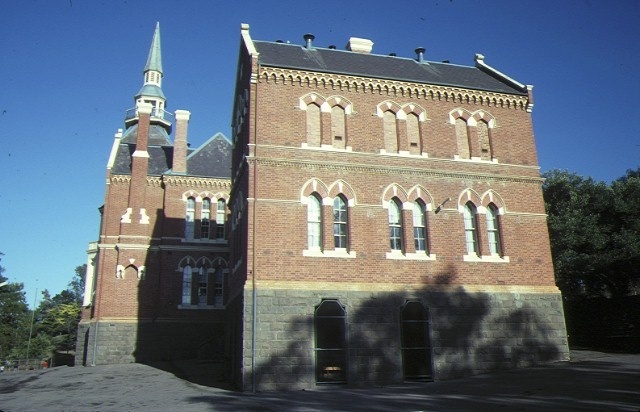 The Camp Hill Central School is of architectural and historical significance to the State of Victoria. 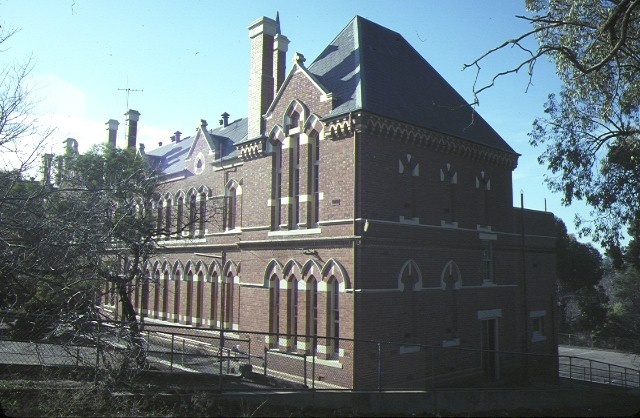 The Camp Hill Central School is of architectural significance as one of the most substantial and finely designed school buildings constructed in Victoria. Its vast scale, intact facades and unusual detailing make it an important example of the work of Henry Bastow of the Education Department. In the design of schools, details such as the corbel table are rare, the only other example being at Windsor Primary School (1877), and the inclusion of two bay windows is unique to this school building. The expression of the staircase externally is also unusual. 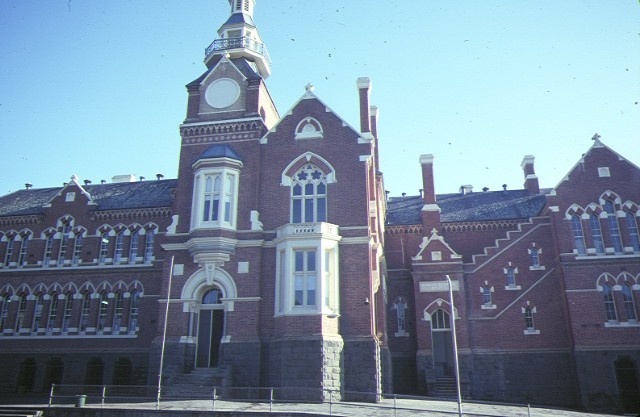 The Camp Hill Central School is of historical significance as an important landmark in the City of Bendigo. 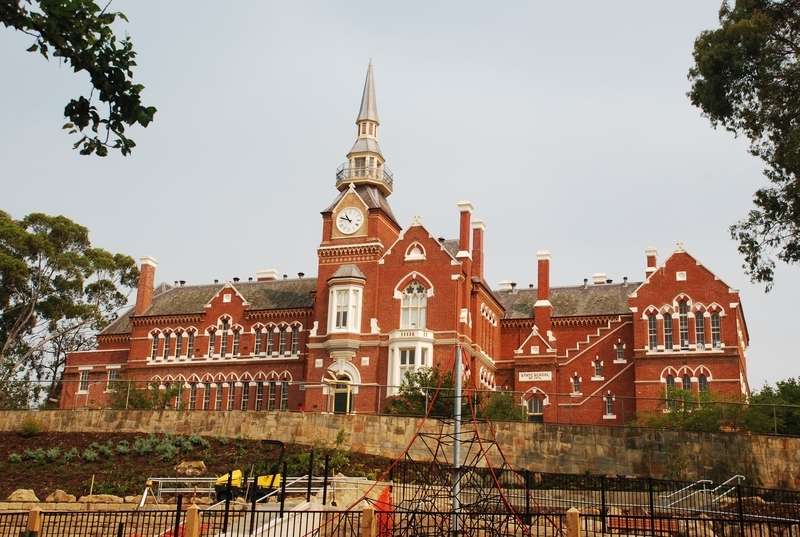 Due to its size, siting and central position, it became regarded as the most important school in the city. The incorporation of the city's fire tower, and its use as both lookout and warning bell, are important. Camp Hill Central School No. 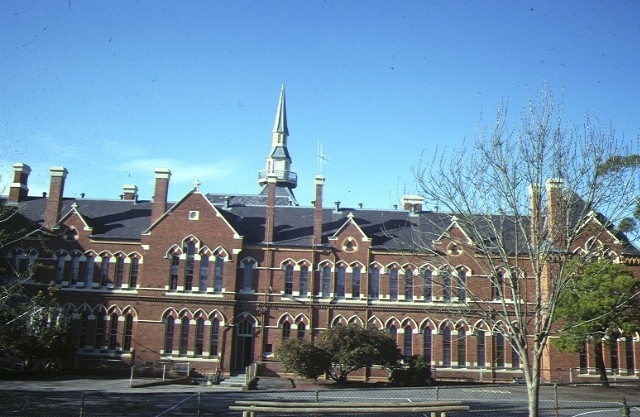 1976, Rosalind Park, Bendigo. 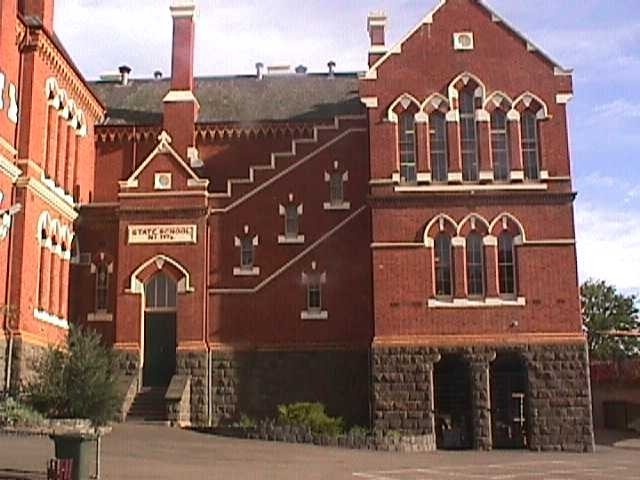 The Camp Hill Central School was built in 1877 on the Police Camp site in Bendigo. Sixty six acres were set aside for police purposes here in 1852, providing the base for military and police presence during the 1850s, when an enormous number of people were attracted to the goldfield. The Gold Commissioner’s Headquarters were also located on this site and the government viewed it as a suitable site for a much needed central school.